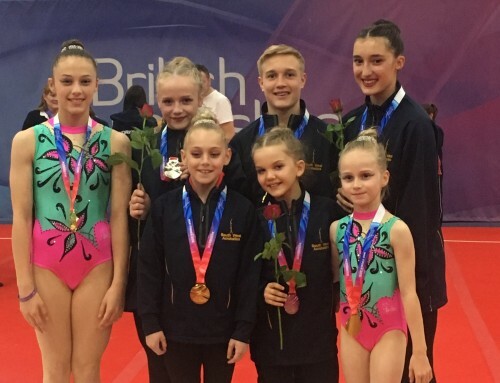 FOUR of King Edmund Gym Club’s recently-crowned British champions have been called up by Great Britain for the World Acrogymnastic Championships in Antwerp in April. 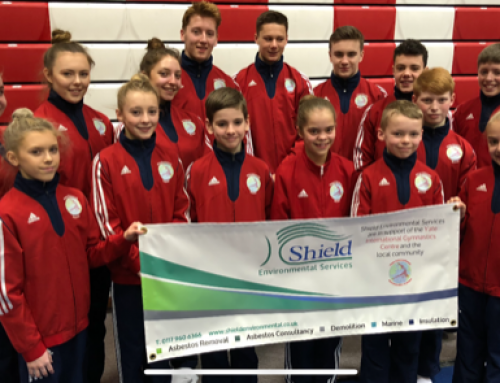 Finn Cochrane and Kirsten Owen will compete as a mixed pair once more following their success in the 13-19 age category at the British Championships in Stoke-on-Trent, where equally-ecstatic Grace Monchar and Nyree Williams also emerged top of their 13-19 section in the women’s pairs’ event. 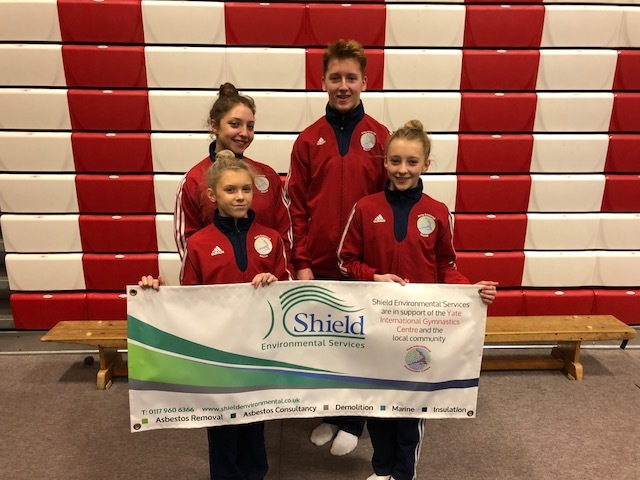 The quartet were among a party of 15 competitors from the Yate-based King Edmund club partaking in last month’s British Championships which led to them all returning to South Gloucestershire proudly clutching medals. That has led to their triumphant gold medallists Finn and Kirsten, and Grace and Nyree, to be called up by Great Britain selectors for the prestigious Worlds in Belgium where they will be hoping to emulate the achievements of a string of previous Eddies aces at the games. 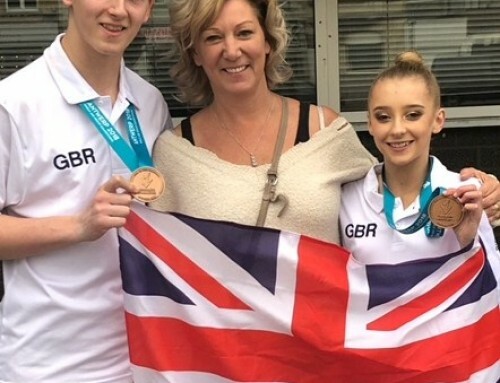 Club manager Mark Thorne enthused: “It was fantastic to have so many of our gymnasts do so well in Stoke and for four of them to then get chosen to represent Great Britain at the World Championships has capped it all. “What’s made it all the more remarkable is that both pairs who have been selected made slow starts at the ‘Brits’ and were in effect having to play catch-up the next day to go on and achieve gold medals. “In doing that they showed a real competitive spirit and they’ll certainly need all of that and more when it comes to the Worlds in Antwerp in a month’s time (April 8 and 10). Mark reflected: “Hopefully our four gymnasts can go on and add to the club’s long-standing association with medals at World Championships. “In China in 2016 Dove Strachan-Wills and Millie Battensby won silver in the 13-19 women’s pairs competition and it would be great to think Grace and Nyree could match that or even better it. “At the same event Harry Hole and Marcus Flint finished up with a commendable bronze medal in the same age category.